Guy Gibson, the son of a civil servant, was born on 12th August, 1918. Educated at St Edward's School in Oxford, he joined the Royal Air Force in 1936 and by the outbreak of the Second World War had become a bomber pilot with 83 Squadron. Gibson won the Distinguished Flying Cross in July 1940 on Bomber Command's first raid of the war. After completing his first tour of duty he avoided the normal six-month rest from operations at a flying training establishment by obtaining a transfer to Fighter Command. In his new role as a night fighter he obtained four kills and won a bar to his DFC. At the age of 23 Gibson was promoted to the rank of wing commander and in April 1942 was posted back to Bomber Command. Over the next eleven months he led 106 Squadron and flew 172 sorties before taking over the 617 Squadron. In February, 1943, the Royal Air Force decided to plan an attack on the five hydroelectric dams on which the Ruhr industrial area depended. Barnes Wallis advised the Royal Air Force to use the new bouncing bomb he had been developing at the National Physics Laboratory in Teddington. Gibson was selected to take part in Operation Chastise (also known as Dambusters Raid). The targets were the three key dams near the Ruhr area, the Möhne, the Sorpe and the Eder Dam on the Eder River. It was hoped that the raid would result in the loss of hydroelectric power and the supply of water to nearby cities. The success of the operation involved precision bombing. The cylindrical bombs developed by Barnes Wallis had to be dropped from 60 feet to skip into the dam face and roll down it to explode at a depth that triggered a pressure fuse. The pilots had to judge the critical release point by using dual spotlights whose beams converged vertically at 60 feet. The aircraft used were adapted Avro Lancasters. To reduce weight, much of the armour was removed, as was the mid-upper turret. The substantial bomb and its unusual shape meant that the bomb doors were removed and the bomb itself hung, in part, below the body of the aircraft. The crews practised over the Eyebrook Reservoir, the Derwent Reservoir and the Fleet Lagoon at Chesil Beach. The final test flights took place on 29th April 1943. Operation Chastise began on the night of 15-16th May. The first wave of aircraft, led by Guy Gibson, would first attack the Möhne Dam. The second group was to attack the Sorpe Dam whereas the third group was a mobile reserve and would take off two hours later, either attacking the main dams or bombing smaller dams at Schwelm, Ennepe and Diemel. Two aircraft piloted by Les Munro and Geoff Rice were forced to return to base following technical problems. Robert Barlow and Vernon Byers were shot down and crashed into the Waddenzee, whereas Bill Astell came down somewhere over Roosendaal. The first group of aircraft piloted by Guy Gibson, Melvin Young, John Hopgood, Mick Martin, David Shannon, Henry Maudslay, David Maltby and Les Knight arrived safely at their first target. Gibson bombed first but it failed to hit the Möhne Dam. During his run Hopgood aircraft was hit by flak and destroyed. Gibson now flew his aircraft across the dam to draw flak from Martin's run. Martin's aircraft was hit but he made a successful attack. Melvin Young was the next man to go. Guy Gibson recorded that Young's bomb made "three good bounces and made contact (with the dam)." A huge column of water rose and a shock wave could be seen rippling through the lake. The dam was now beginning to break but it did not collapse immediately. David Maltby was now ordered to attack the dam. He later said that "the crown of the wall was already crumbling" and that he could see a "breach in the centre of the dam" before dropping his bomb. Gibson radioed back to headquarters that he could now see a great gap, some 150 metres long, in the dam and a torrent of water that looked "like stirred porridge in the moonlight." 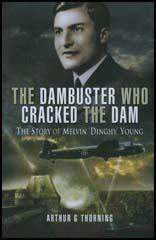 Guy Gibson then led Melvin Young, David Shannon, Henry Maudslay and Les Knight to the Eder Dam. The topography of the surrounding hills made the approach difficult and the first aircraft, Shannon's, made several unsuccessful runs without dropping his bomb. Shannon later recalled: "The Eder was a bugger of a job. I was the first to go; I tried three times to get a spot on approach but was never satisfied. To get out of the valley after crossing the dam wall we had to put on full throttle and do a steep climbing turn to avoid a vast rock face. My exit with a 9000lb bomb revolting at 500rpm was bloody hairy." Gibson ordered David Shannon to take a break and called up Henry Maudslay to have a go. After Maudslay had two unsuccessful runs, Shannon made another attempt and this time he released his bomb and it hit the target. Maudslay made another run but his bomb hit the top of the dam and the aircraft was caught in the blast. Only Les Knight had a bomb left. His first run ended in failure but the next one resulted in the bomb hitting the dam. Guy Gibson later recalled: "We saw the tremendous earthquake which shook the base of the dam, and then, as if a gigantic hand had punched a hole through cardboard, the whole thing collapsed." Joe McCarthy reached the Sorpe alone. It was the most difficult to breach as it was a vast earth dam rather than the concrete structures of the Mohne and Eder dams. McCarthy's aircraft successfully dropped its bomb but it did little damage. Three of the reserve aircraft were directed to the Sorpe. However, they were unable to breach the dam. Meanwhile, Guy Gibson, Melvin Young, David Shannon, and Les Knight were involved in a dangerous journey to get back to England. Henry Maudslay had started off earlier after his aircraft had been badly damaged while bombing the Eder Dam. However, he was shot down close to the German-Dutch border. At 02.58 gunners at Castricum-aan-Zee managed to hit Young's aircraft. It crashed into the sea and all its crew were killed. Another three were captured and ended the war in prison camps. Only 11 of Gibson's 19 bombers survived the mission. Eight aircraft had been lost and 53 flyers had been killed in the operation. Gibson was awarded the Victoria Cross for his role in the Dambusters mission. Sent on a lecture tour of the United States, he wrote the book, Enemy Coast Ahead and became prospective Conservative Party candidate for Macclesfield. Gibson returned to duty in June 1944. On the 19th September, 1944, Gibson flew his De Havilland Mosquito as master bomber in a raid on Rheydt. He never arrived home and later it was discovered that Gibson and his navigator, James Warwick, had been killed when the plane crashed in the Netherlands. At that time there were rumours that a Pathfinder Squadron: was to be formed, composed of the best bombing crews from all squadrons. ''What are they going to do?" someone asked. 'Yes, but here are the snags,' said Dim. 'First it is hard form a new squadron quickly, and if you form it quictly it is hard to form it well, and speed is what they want I think it would be better to take the best squadron in the Command and call it the "First Pathfinder Squadron." 'That means us,' said Taffy. 'No, we are about fifth now. I think 97 Squadron." A short argument followed in which it was generally agreed that 97 Squadron should be chosen. 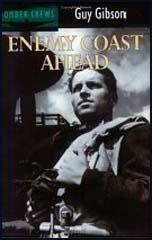 (2) In his autobiography Guy Gibson wrote about the training needed for the Dambusters Raid. When we had all got fullytrained in our special form of attack we held a full-dress rehearsal which some few senior officers took an interest in. It was a complete failure. Aircraft went astray, some nearly collided, others went home browned off. The trouble was inter-communication. On attacks of this sort there must be no allowance for anything to go wrong, and things had gone wrong here. The radio-telephone sets which we were using were just not good enough. We would have to use fighter sets. When we got back I told the AOC that unless we were equipped with VHP the whole mission would be a failure. I told him that I had been asking for it for some time. He said. 'I'll fix it.' He was as good as his word. Within a few hours a party of men landed on the aerodrome and went to work. Next day the whole squadron was equipped with the very best and most efficient radio-telephonic sets in the whole of the Royal Air Force. And not only this, but my aircraft and the deputy-leader's had two sets on board, so that if one should go wrong we would have the other. of the many snags that the boys had to face while training. On the actual show it wouldn't matter so much because once the mines had dropped the job would be done and the next thing would be to get out of it, no matter how badly aircraft were damaged by water or anything else. But the main thing was to get the mines into the right spot. The plan for the operation was that three waves of aircraft would be employed. The first wave of nine aircraft, led by Gibson, would attack the Mohne Dam, then the Eder followed by other targets as directed by wireless from 5 Group HQ if any weapons were still available. This wave would fly in three sections of three aircraft, about ten minutes apart, led by Guy Gibson, Melvin Young and Henry Maudslay. Melvin was to fly accompanied by David Maltby and David Shannon. The second wave would fly, by a different route to confuse enemy defences, to the Sorpe Darn. Indeed, because this route was slightly longer via the islands off north Holland, the second wave actually took off before the first wave. The third wave, also of five aircraft, was to set off later and act as a mobile reserve to be used against such dams as were still unbroken. In all nineteen Type 464 aircraft and their crews were available. The crews of Divall and Wilson had sickness and one aircraft could not be repaired from damage during training. The Operational Executive Order required that the raid be flown at low level, not above 500 feet, except between Ahlen, the final waypoint, and the target where the leader of each section should climb to 1,000 feet ten miles from the target, presumably to ensure finding the target with certainty. For reasons of surprise, it would be desirable to fly as low as possible to reduce the chance of being seen by the German radar, and thus risk interception by fighters, and to minimize the time of exposure to anti-aircraft guns (flak). The 500 feet limit was an acceptance that it would be essential to identify turning points accurately and the section leaders would have felt particular responsibility to ensure that they kept to the route, which had been devised to avoid known flak locations as far as possible. After the raid Maltby and Shannon commented that Melvin had shown a tendency to fly higher than them, and they had used Aldis signal lamps to warn him to keep low. For his part he would have been feeling a great responsibility to lead his team accurately. It may also be that, with relatively little recent flying, on his first operation in a Lancaster and his first at all for nearly a year, and with a crew with little operational experience, he was more concerned about hitting obstacles on the ground than they were - he had never seen himself as "the fighter pilot type". The hazards of low level operations over enemy, territory were such that Harris generally disapproved of using heavy bombers in this role. Operation Chastise was an exception, but the loss on the raid of several aircraft to flak and surface impact supports Harris's general view. The gunners had seen as coming. They could see us coming with our spotlights on for over two miles away. Now they opened up with the tracers began swirling towards us; some were even bouncing off the smooth surface of the lake. This was a horrible moment. I think at that moment the boys did not want to go. I know I did not want to go. I thought to myself, "In another minute we shall all be dead - so what?" I thought again, "This is terrible - the feeling of fear - if it is fear." By now we were a few hundred yards away, and I said quickly to Pulford, under my breath, "Better leave the throttles open now and stand by to pull me out of the seat if I get hit." As I glanced at him I thought he looked a little glum on hearing this. The Lancaster was really moving and I began looking through the special sight on my windscreen. Spam had his eyes glued to the bombsight in front, his hand on his button; a special mechanism on board had already begun to work so that the mine would drop (we hoped) in the right spot. Terry was still checking the height. Joe and Trev began to raise their guns. The flak could sea us quite clearly now. It was not exactly inferno. I have been through far worse than that; but we were very low. There was something sinister and slightly unnerving about the whole operation. My aircraft was so small and the dam was so large; it was thick and solid, and now it was angry. We skimmed along the surface of the lake, and as we went my gunner was firing into the defences, and the defences were firing back with vigour, their shells whistling past us. For some reason we were not being hit. Spam said, "Left - little more left - steady - steady -steady - coming up." Of the next few seconds I remember only a series of kaleidoscopic incidents. The chatter from Joe's front guns pushing out tracers which bounced off the left-hand flak tower. The smell of burnt cordite. The cold sweat underneath my oxygen mask. The closeness of the dam wall. Someone was saying over the RT, "Good show, leader. Nice work." Then it was all over, and at last we were out of range, and there came over us all, I think, an immense feeling of relief and confidence. As we circled round we could see a great 1000-feet column of whiteness still hanging in the air where our mine had exploded. We could see with satisfaction that Spam had been good, and it had gone off in the right position. Then, as we came closer, we could see that the explosion of the mine had caused a great disturbance upon the surface of the lake and the water had become broken and furious, as though it were being lashed by a gale. The impression seems to be widespread that the important facts about the operation were, first, the ingenuity of the bomb which was specially designed for it and, secondly, the devastating consequences supposed to have been produced upon Ruhr industry by its success. In truth, neither the special bomb nor the resulting floods were of any great importance. What mattered in terms of historical significance about the dams raid was simply the extreme bomb-aiming accuracy achieved. This was so because, from the tactics devised and executed in May 1943, by Wing Commander Gibson and the crews of 617 Squadron, there were presently evolved the low level and master bomber techniques which, in 1944, were a prime factor in converting the main force of Bomber Command from a bludgeon into a rapier. This, in turn, meant that when, in the second half of 1944, conditions of air superiority began to arise, Bomber Command stood ready to exploit them with highly accurate and highly effective attacks upon immediately vital targets. It was these precision attacks which injected the decisive element into the great campaign which was waged by Bomber Command throughout the war. It is with deep regret that I write to confirm my telegram advising you that your son, Squadron Leader Henry Melvin Young D.F.C., is missing as a result of operations. Squadron Leader Young was a great personal friend of mine and was himself largely responsible for the success of this operation. He was deputy leader of this raid and I watched him drop his load in exactly the right position with great precision. Afterwards we led the raid on the Eder dam and he and I flew on the return journey back to base. Somewhere, however, between the target and the enemy coast he ran into trouble and has not returned. If as is possible your son was able to abandon his aircraft and land safely in enemy territory, news should reach you direct from the International Red Cross Committee within the next six weeks. Please accept my sincere sympathy during this anxious period of waiting.